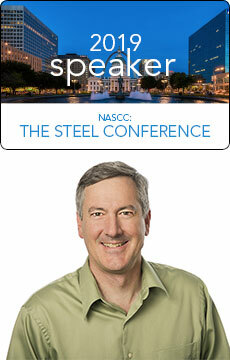 Tim Holtermann, Senior Sales Engineer, Canam Buildings USA, will be a guest speaker at the NASCC (North American Steel Construction Conference). Wednesday, Apr 3, 3:15 – 4:45 p.m.
Thursday, Apr 5, 2:00 – 3:30 p.m. In his presentation – Properly Specifying Steel Joists – Tim Holtermann will highlight the current codes and specifications that apply to steel joist construction and provide insight into the best way to plan your project. View the full NASCC program.